Pullman Kuala Lumpur City Centre Hotel & Residences (Pullman KLCC) recently completed a revamp on its facilities for the residences, which include the 2-Bedroom Family Suite, Living Space – exclusive lounge for residences and The Zone – play area for fun, gaming and entertainment. The 2-Bedroom Family Suite is a 107 square metre residence, furnished with a living room, kitchen and may host a family of 4 to 5 for a weekend staycation or even a holiday getaway. 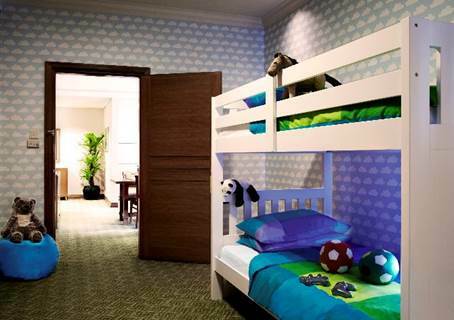 Designed to fascinate the children, one of the bedrooms is well decorated with colourful wallpapers, glowing stars, a bunk bed and filled with toys as well as a PlayStation. The children staying at the Family Suite will get to enjoy special welcome amenities, turndown amenities and bathroom amenities, which will pamper and put a smile on the child’s face. Pullman KLCC 2-Bedroom Family Suite, room rate from RM1234.90 per night. Living Space, formerly the Residence Lounge at Pullman KLCC, it is now a contemporary chill out area for guests of the residences. Set in a contemporary style, Living Space is filled with colourful furniture, and warm lighting which oozes a certain creative charm, making this an oasis for business and leisure travellers alike. Besides serving daily continental breakfast, guests are offered coffee and tea throughout the day and Happy Hour begins at 5pm to 7pm daily with a 2 for 1 offer on Draught beer, house wines and soft drinks. Residents can also enjoy watching movies or live sports in the built-in home theater room whilst snacking on light snacks that can be ordered or even try their hand at self-made popcorn. 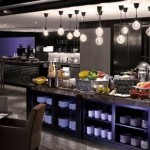 Continental breakfast served daily at Living Space. The former Kid’s club has also been renamed and refurbished. Known as The Zone, it is now a stylish and modern space where fun and entertainment take place. 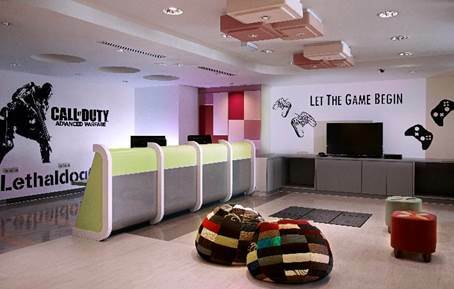 The play area is equipped with the latest gaming gadgets such as PlayStation and Xbox. For toddlers to teenagers or even adults, The Zone is the ideal place for a chilled and relaxing day. The Zone is open daily from 9am to 10pm for hotel and residences’ guests. Pullman KLCC is located in the heart of Kuala Lumpur City Centre, with stone’s throw away to the city’s finest retail outlets, entertainment hot-spots and its business hub. Pullman KLCC welcome travellers for business and leisure. For more information or room reservations, please log on to www.pullmanhotels.com/A0C5 or email to reservations@pullman-klcc.com or call +603 2170 8888.